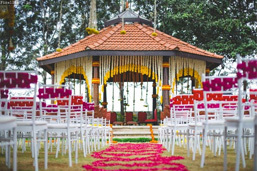 3Production Weddings is a boutique wedding planning & decor agency in Bangalore who conceptualize exclusive, stylish and tasteful weddings, to thoughtfully design and etch your signature style into your wedding. 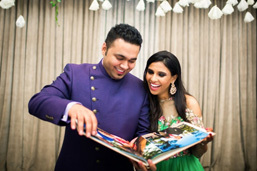 Bringing suave and couture to every event, we work closely with you and your family to design a wedding that is uniquely yours and ensures the planning phase is both enjoyable and exciting. 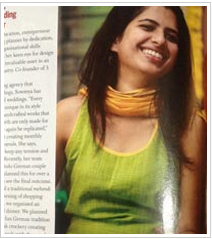 3Production Weddings and Sowmya Raghavan featured in the Femina on the Big Story “Dream Weavers” – on how 3 Productions stands out and is different from conventional wedding decorators and planners. Marriages are made in heaven but planning the big day takes extremely organized effort and this is where 3 Productions steps in. 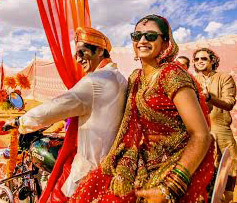 Sowmya Raghavan, head of 3 Production Weddings goes on to explain the detailed calendar system that 3 Productions follows in ensuring that nothing is left undone for the big day and keeps glitches at bay.